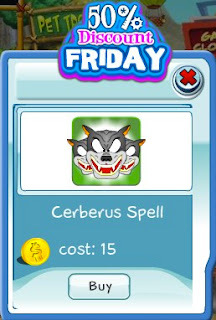 Today's 50% Discount Friday item is the Cerberus Spell. Use this spell to turn your buddies into a three headed snarling dog! This offer is valid today only, so act quickly.